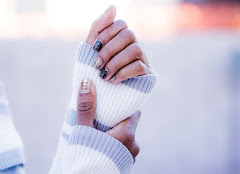 We're officially in spring so I thought it was time to come back with a post that would kick off the season in style! 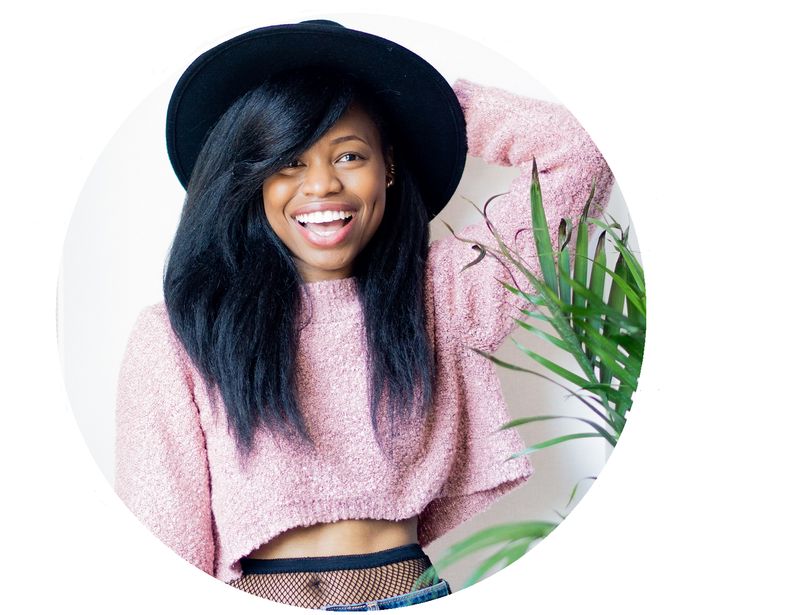 My spring wardrobe usually consists of transitional pieces since the weather can be warm during the day and then chilly at night. That's why I've opted for footwear that's both elegant and comfortable with this slip-on style from Clarks. If you have yet to give the Clarks brand a try, then it's time you check out their new spring arrivals on Zappos! They mix together comfort and casual in their everyday styles that are perfect for all-day wear for both women and men. 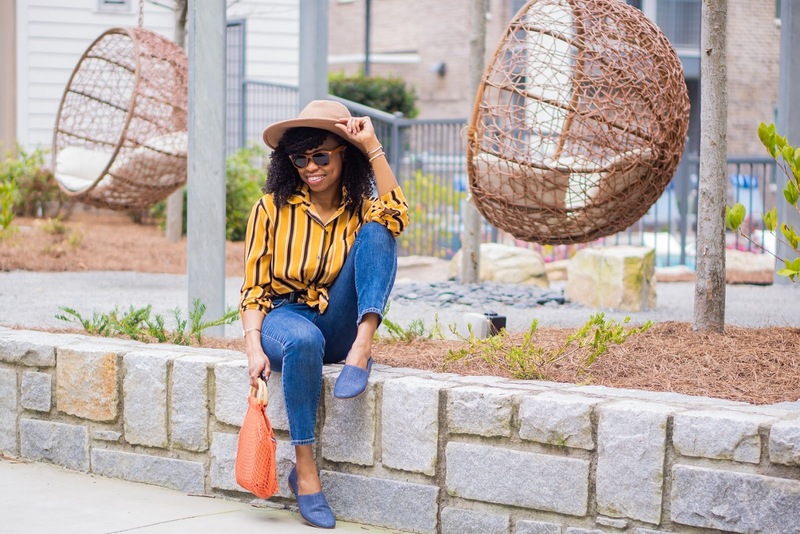 I'm rocking the Clarks Pure Tone in the navy interest design to go along with my classic button-down shirt highlighted in a spring appropriate mustard shade. 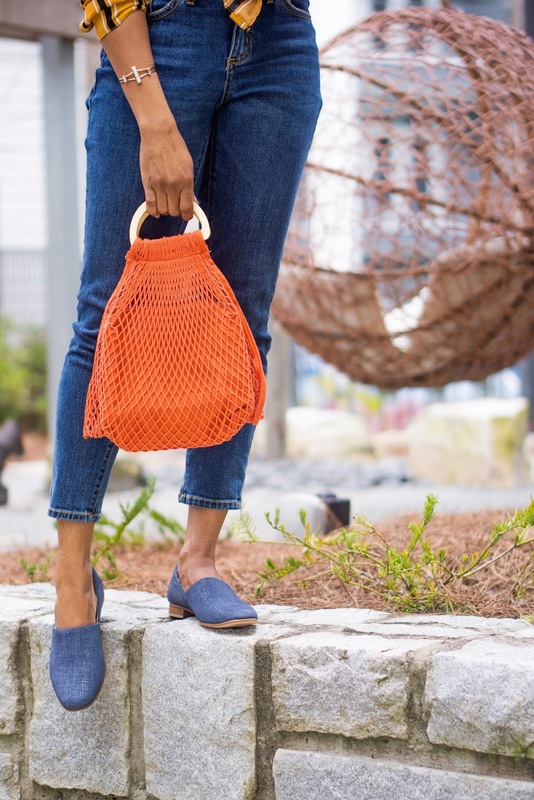 My netted tote bag is the perfect accessory to complete this spring look. I can easily take this look from weekday office wear to weekend bike ride adventure without having to change anything. 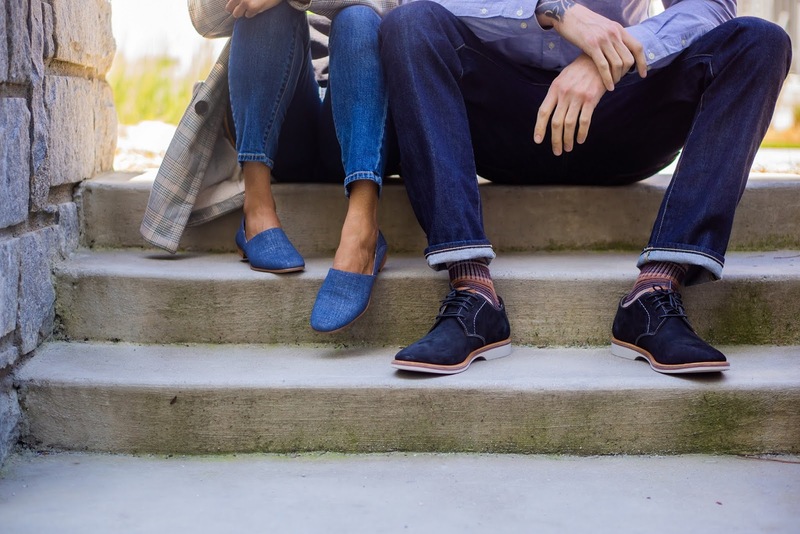 The Cushion-Plus technology and triple-density OrthoLite footbed in my shoes allow my feet to be comfortable every step of the way. Less strain and less impact leads to more traction and durability all wrapped up in a shoe that comes in wide widths and that's also available in white and pink leather and a two-tone black style. Style Tip: The white leather works great in the summer; pink leather is fantastic in the spring; and the two-tone black will blend seamlessly with your winter wardrobe. 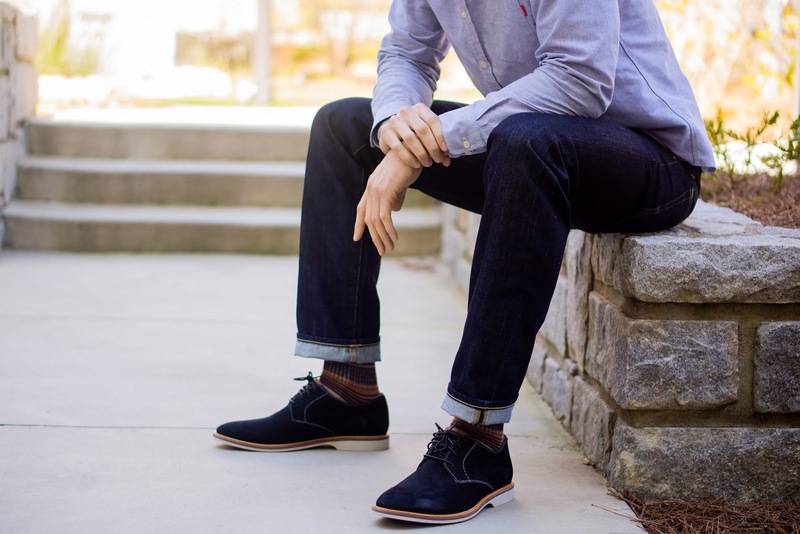 Clarks is also one of those brands on Zappos that offers a large range of styles for men as well. 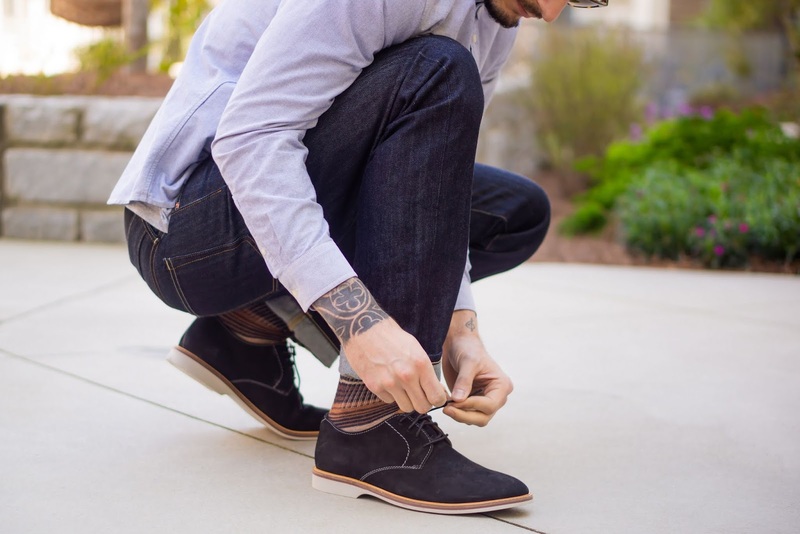 The Atticus Lace shoe is part of the Clarks Artisan Collection and hits the sweet spot between casual and formal. The soft soles and breathable leather lining really complement the velvet-like surface of the nubuck design. Style Tip: Wear it with cuffed jeans and a tee or pair it perfectly with a suit. I would hope that you guys have already shopped at Zappos.com considering how much I rave about them on the Muse. But in case these shoes weren't enough to get you shopping, just remember that Zappos also offers fast, free shipping (I got both pairs in two days), a 365-day return policy and world class customer service that fit right in with the busy lifestyles of the modern day woman (or man). Love both of your shoes! I can totally see myself wearing your pair and I think my husband would love what your husband wore. I love how Clarks shoes are super comfortable! Loving the his and hers!!! These look so comfy and always love shopping on Zappos! I love both of your shoes. I can't wait to weather to change so that I can indulge in some comfy spring shoe shopping. OMG this bag is soooo gorgeous!! Both your shoes look fab! I love Zappos. They always have a fantastic range and such great customer service. My hubby loves his Clark's! Both of these look amazing on you guys! Those shoes look amazing for spring. Always love Zappos! I had no idea Clarks made such chic shoes! Those ones you're wearing are gorgeous! nice to see you back, love your shirt. Great to see you here and you brought the Hubs along too. The shooze looks very comfy. Enjoy Spring my Dear. I love both of these shoes! They are so classy and yours is so chic and perfect for Spring! 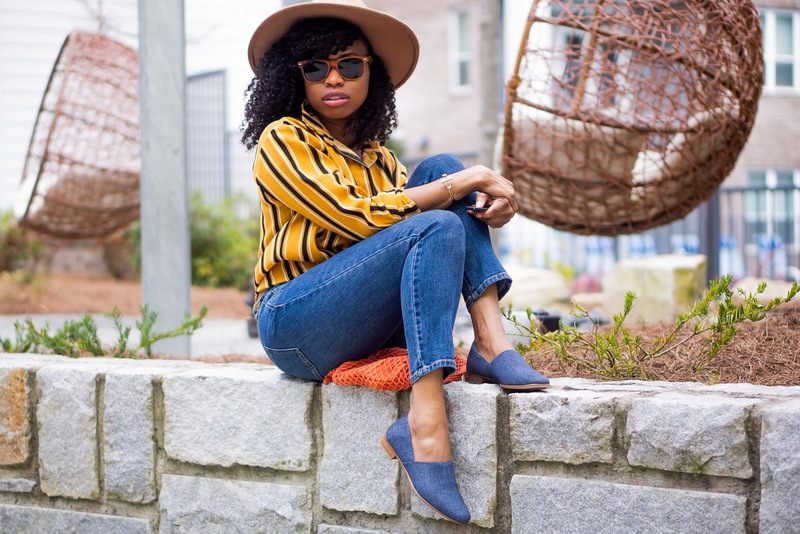 I love how the blue shoes go so well with the denim and the pop of yellow! Loving these flats, lady- perfect for spring! You guys are looking casual + polished! What a bright and colorful look! I love it all! Especially those cute shoes! Obsessed with that color flat! SO CUTE! Both your shoes are so dapper! I love them, super cute. I love your new spring shoes, and you both look so sharp. I'm really loving your net bag! Love this sassy footwear! Such a versatile color for summer. I don't think I have shopped Zappos before. I love Clarks shoes, and worked with them, they are an old classic brand. Lovely spring selections. Welcome back, lovely. Yes to spring! Its about time! Haha!! Y'all look good and I love the shoes a lot. Looks comfortable too. I love that you not only included your cute shoes, but also shoes for men as well! It's awesome that Clarks has so many options! I am loving these shoes! Both of the shades go perfectly with the denim color. 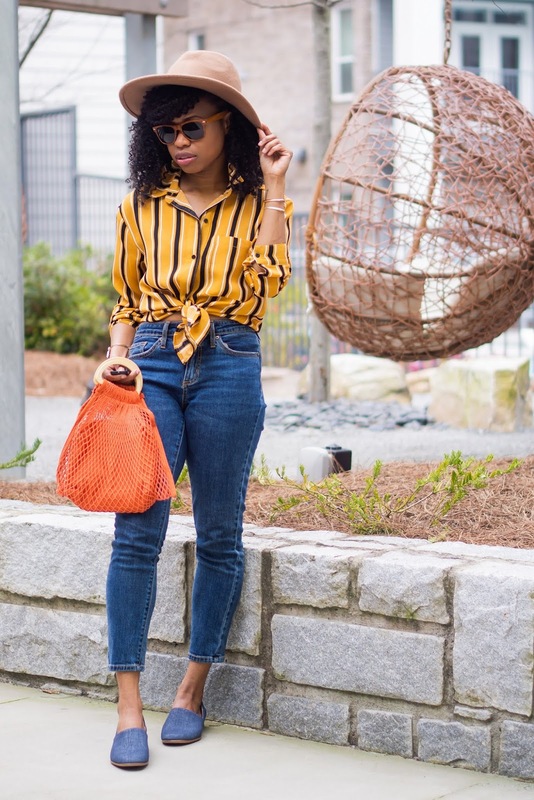 Those shoes are too cute - love the denim look! They would be great with white denim in the spring/summer too! you're so right - they would look great with white denim! Both of these shoes are such great finds. I think my hubby needs a pair! Also love that bag...so cute for spring and summer! Loving both of y'all's shoes! Yours are so unique and perfect for everyday. Love them! The mustard yellow colour of your stylish vertical stripped shirt complements your blue denim jeans and red-framed sunnies beautifully. You look fabulous! Looking so chic and sassy with the mustard yellow top dear! 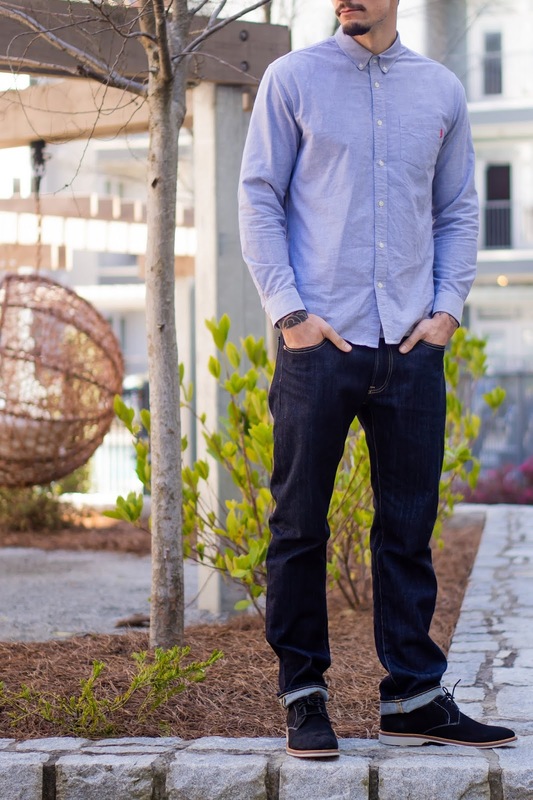 Love how you style it with the blue denim. So ready for spring! LOVE the Clarks pure tone!! I think I'm going to snag them in white leather! I love the denim look of these! That heel detail is so cute. I've gone into Clarks so many times but for some reason always leave empty handed. I like the suggestion of cuffing the jeans with these, nicely done Cheryl. 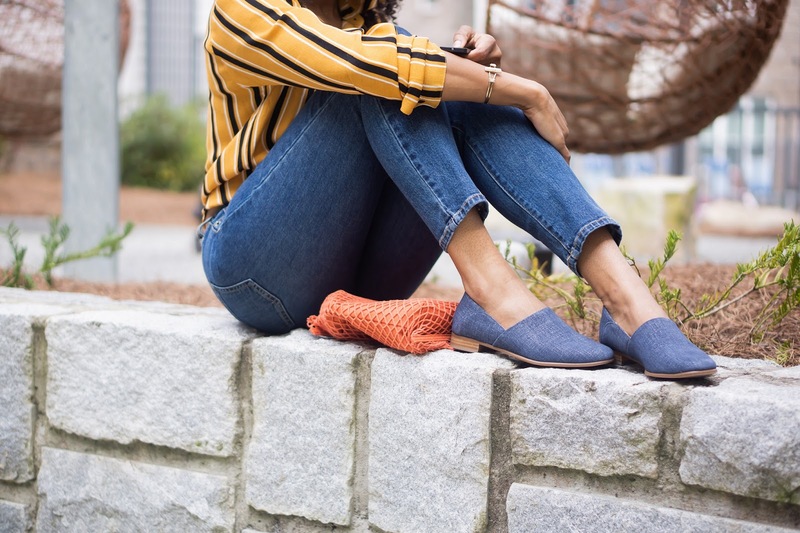 Love the color of your shoes - such fun slip-ons for spring! Those look so comfy and versatile. The shoes are so cute. 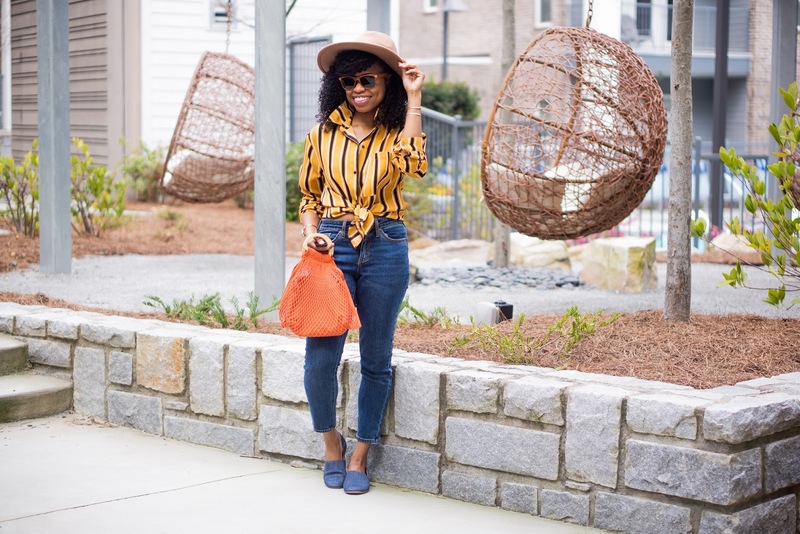 Yellow button down and brown shades is such an original and cool look!